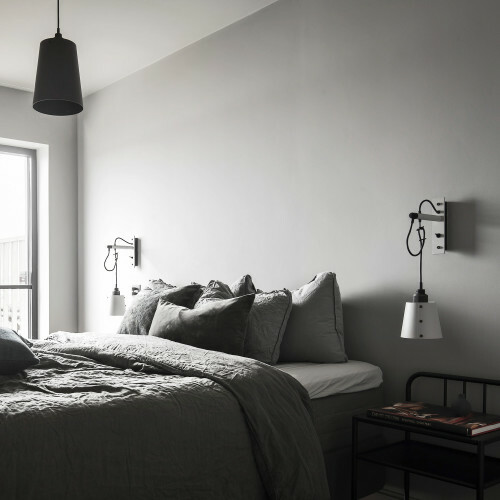 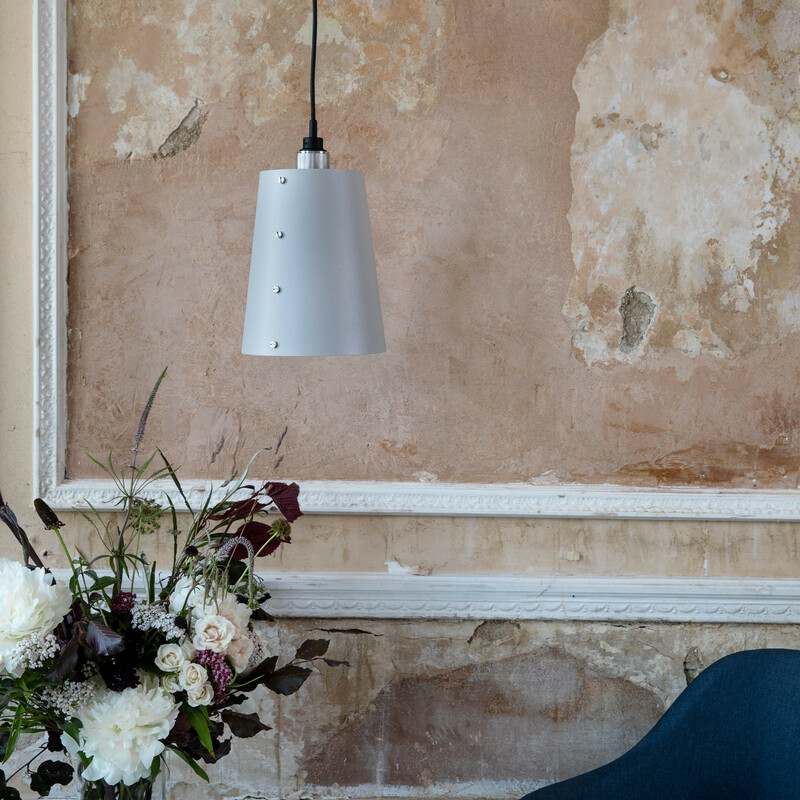 A single light pendant made from solid metal with matte rubber detailing. 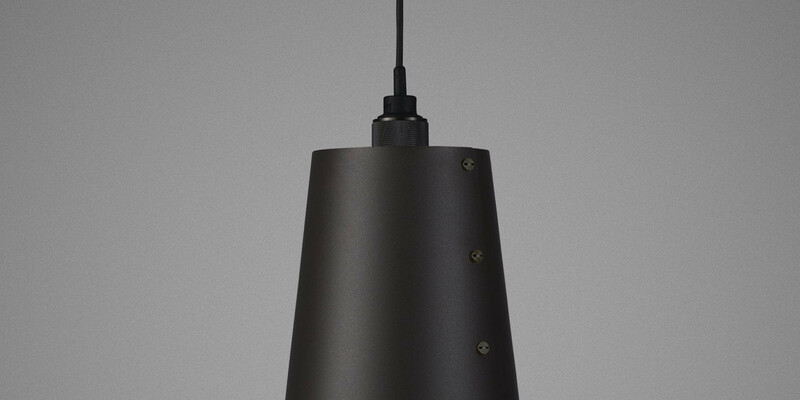 This light features a SMOKED BRONZE pendant and a large metal shade finished in GRAPHITE power coating, with matching solid metal details. 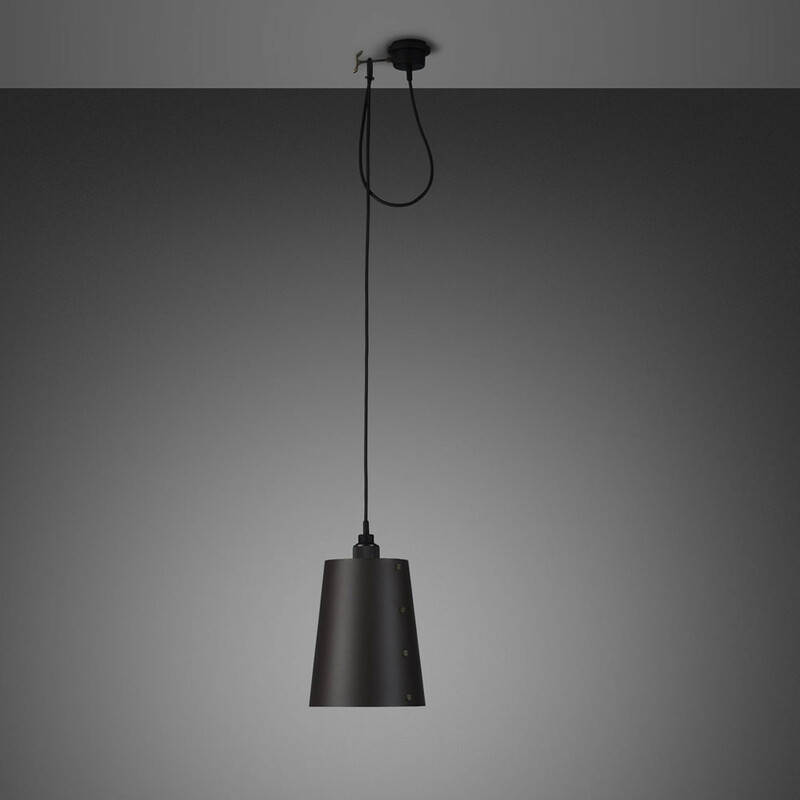 The pendant length can be adjusted and hooked onto a solid metal hook. 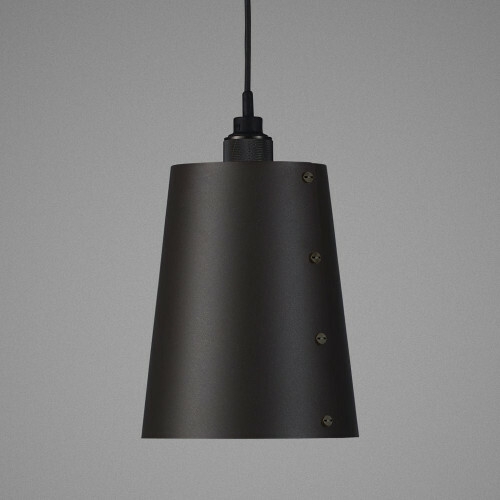 This light is also available with either a STEEL or BRASS pendant.